Clear View II Electric Defrosters make it easy to install high quality defrosters on Van rear windows. Clear View Van Defrosters deliver the heating performance needed to keep Van windows free of frost for safe winter driving. New defrosters now feature simplified installation and lower cost. Clear View Van Defrosters reliably melt snow and ice even in the coldest winter conditions. Now it is easy to install defrosters, both operated from a singe switch and one ThermaSync defroster control these defrosters fit both rear windows. Clear View II defrosters are applied directly to the surface of the window and feature proven heating performance and a professional factory look. Wiring requires only power and ground. Developed and tested in Colorado’s tough winter conditions the new Clear View II defrosters fit most vans including Nissan NV, Mercedes Sprinter, Ford Econoline, Chevrolet Express and most others. The defroster elements come on pre-spaced rolls for accurate application to the window. The elements can be trimmed between the minimum and maximum lengths for a custom installation and are similar in color to factory defrosters for a professional finished look. 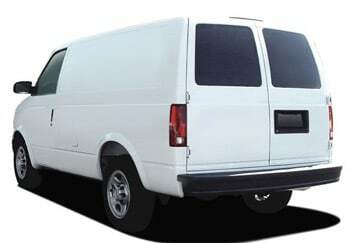 Available in three sizes from 10, 15 or 20 inches in height Clear View van defrosters fit even the taller back glass. Defrosters only require two electrical connections (positive and ground) which are made using the tabs integral to the defrosters side buss bars. 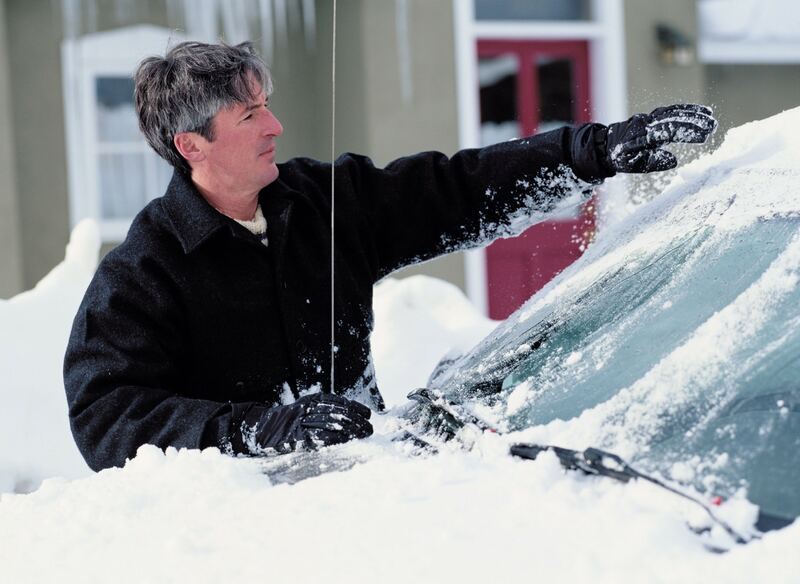 The defroster control is easy to connect using the supplied wire harness. All defrosters include the ThermaSync timer control, defroster activation switch, wire harness and installation pack for easy installation. All Clear View defrosters come with a set of general instructions detailing the exact defroster being installed. Clear View Van Defrosters include 8 grid lines measuring 10 inches in height. Minimum length is 17 inches, maximum 25. Connection tabs are both on the same side. 12 Volts. What’s Included : Two defrosters, one for each window, ThermaSync 2712 control set for 20 minute auto off, defroster switch, wire harness and installation pack. This defroster is delivered ready to install with fully illustrated instructions. Clear View Van Defrosters include 12 grid lines measuring 15 inches in height. Minimum length is 17 inches, maximum 25. Connection tabs are both on the same side. 12 Volts. What’s Included : Included are two defrosters, one for each window, ThermaSync 2712 control set for 20 minute auto off, defroster switch, wire harness and installation pack. This defroster is delivered ready to install with fully illustrated instructions. Clear View Van Defrosters include 16 grid lines measuring 20 inches in height. Minimum length is 17 inches, maximum 25. Connection tabs are both on the same side. 12 Volts. Delivered ready to install, Clear View II Van Defrosters include the ThermaSync control, defroster switch and installation pack including wiring harness, under dash mount, fuse, fuse holder, mounting screws, connectors and other installation accessories. The installation pack makes it easy to go from zero to full rear window defroster coverage. Clear View defrosters use the ThermaSync control with lighted LED defroster indicator switch. This control provides automatic shut off timing of the defrosters from a single switch plus a range of automatic timing options from ten minutes to continuous operation. Standard timing is 20 minutes on.